Joe Budden's next single will be "N.B.A. 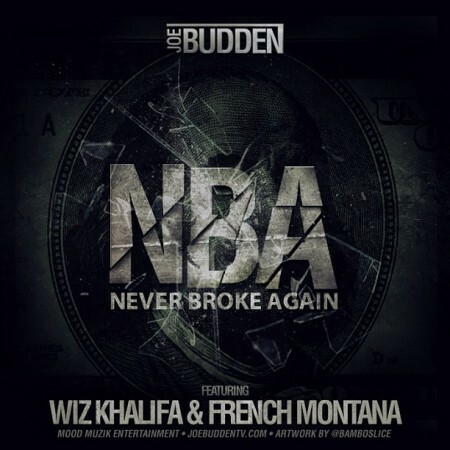 (Never Broke Again)" and will feature Wiz Khalifa and French Montana. Budden has two big features on the track with Wiz Khalifa and French Montana jumping on for the assist. Check out the single artwork below, and expect to hear this track drop soon. No Love Lost is slated for a February 5th release.